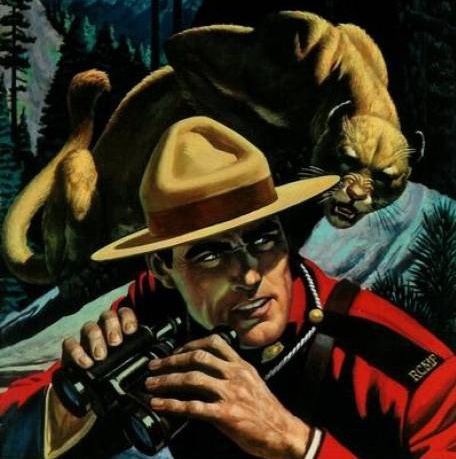 Documents from the RCMP’s Suspicious Incidents Report (SIR) database show police closely monitored the movements of a member of the Indigenous Environmental Network (IEN) during the summer of 2010 in northern British Columbia. According to the documents, the RCMP considers IEN an “extremist” group and a trip by an IEN member to a direct action camp in July of that year created a flurry of database activity involving RCMP officers with the force’s national security operations in B.C. and Ottawa. [* The IEN is an Indigenous non-governmental organization (NGO) more similar to Greenpeace than an actual resistance group]. The documents record entries from RCMP officers into the SIR database. The entries focus on concerns around possible protests in July 2010 against energy firm Enbridge’s Northern Gateway pipeline project. The controversial Gateway project would transport bitumen from Alberta’s tarsands to the B.C. coast for loading onto tankers headed to Asian markets. The project received federal cabinet approval but now faces an onslaught of legal challenges from B.C. First Nations. Enbridge provided the RCMP a list of its events planned for that July. The company was concerned the events could become targets of demonstrations. The list of Enbridge’s activities included a golf tournament in Prince George, B.C., Go Karts for Girls in Fort St. John, B.C., and the Riverboat Days Concerts in Terrace, B.C. The activities of one individual, however, captured the RCMP’s attention that month. APTN National News contacted a former member of IEN late Wednesday who said they attended the Wet’suwet’en camp during the stated time period. APTN National News failed to connect with the individual, who is currently travelling, for a planned interview Thursday. The RCMP created a file on the IEN member’s planned trip to the action camp. The file was dated the same day as Douglass’ email. “These groups listed out are being registered and their names are going into national security databases and when something comes up their names would come up. This has very significant repercussions down the road, it creates perpetual suspicion and perpetual surveillance,” said Monaghan. The RCMP officers involved on the file included several officers with B.C.’s E Division’s Integrated National Security Enforcement Team (INSET), intelligence analysts from Ottawa and a supervisor from the federal policing operational analysis sector at RCMP headquarters in the capital city. Members of the Wet’suwet’en Nation held an anti-Enbridge pipeline protest in Smithers, B.C., on July 16, 2010. IEN was involved in the protest, along with the Rainforest Action Network, Ruckus Society, Greenpeace and the Council of Canadians, according to the Flickr site of a Six Nations photographer who was at the event. The file on the IEN member, however, seemed headed for a downgrading. On July 12, 2010, an analyst with B.C. INSET concluded the file did “not fall within the suspicious incident categories” and would not require imputing in the SIR database. A supervising INSET sergeant then reviewed the file and came to the same determination. The sergeant, however, was overruled by a senior officer at Ottawa RCMP headquarters. The officer determined the file should be imputed because IEN was an “extremist” group. The file was also forwarded to the now dismantled Aboriginal Joint Intelligence Group (JIG) and to the RCMP’s main liaison with the energy sector. An RCMP spokesperson said the force could not immediately responded to stated questions from APTN National News on the issue. Posted on October 16, 2014, in State Security Forces and tagged anti-pipeline protests, Indigenous Environmental Network, Northern Gateway, oil and gas pipelines+Indigenous resistance, police state, RCMP, RCMP and Natives, surveillance, Unis’tot’en, Wet'suwet'en. Bookmark the permalink. Leave a comment.